Following his acclaimed comic turn as Mustafà in Rossini’s L’Italiana in Algeri, Ildar Abdrazakov continues his autumn performances at the Metropolitan Opera as the titular rake in Mozart’s Don Giovanni. Returning to Michael Grandage’s production with Fabio Luisi at the podium, the Bashkirian bass stars as Giovanni November 1, 4, and 10. 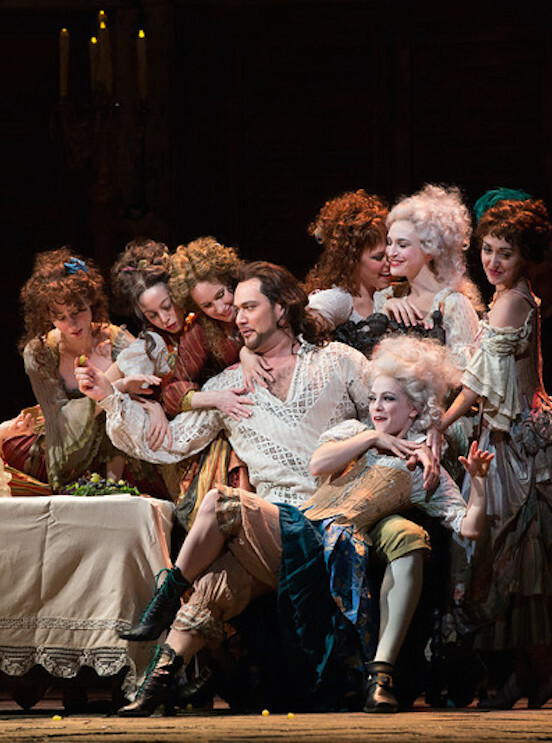 Joining him onstage are Matthew Rose as Leporello, Malin Byström as Donna Anna, Amanda Majeski as Donna Elvira, and Nadine Sierra as Zerlina. Also featured are Paul Appleby as Don Ottavio and Adam Plachetka as Masetto. Audiences outside of New York can enjoy Ildar’s acclaimed account of Mozart’s antihero when November 10’s performance is on the Metropolitan Opera’s website and on Sirius XM.